The Seattle Times reported that glass panels have fallen from the balconies of Seattle’s most exclusive condominium, the Four Seasons Private Residences. Three times in the past year. It happened again Sunday, the third time in a year that glass has rained down from condominium balconies at the Four Seasons Hotel and Private Residences just south of Pike Place Market. Now the owners are taking out all 300 tempered-glass panels in the building, panels similar to those that fractured and fell this summer at high-rise condos in Austin and Toronto. Counting reading at the Seattle Times. Sales at the Burien Town Square condominium project was supposed have gotten off the ground on August 1st. It didn’t. Then by late August. It didn’t. The latest update from various sources indicate a possible a mid-to-late September re-launch, but even that’s not certain. It’s a great project and there aren’t many options for the south end buyers…hopefully they’ll get things rolling soon. A number of condominium projects have the finish line in sight and are racing to close out sales by the end of the year, some with substantial price reductions. At Mercer Island’s 7800 Plaza Condominium four homes remain, which were recently reduced $50,000 to $75,000. The concrete and steel constructed building features two-bedroom luxury homes that are now available from $449,500 to $674,500. View units for sale. The resort inspired Point Edwards Condominium in Edmonds is down to its last three homes, and they too, have taken huge price drops…up to $100,000. The three unsold new units range from $349,950 to $994,950. On the other hand, there are seven competing resales currently available at Point Edwards. View units for sale. A conversion project in Bellevue, the Riverstone, is down to its last home. Unit #100 is an 803 square foot one-bedroom available for $157,500. It features slab granite counters in the kitchen, stainless steel appliances and an enclosed patio. The complex is FHA approved. View listing details. Back in Seattle, three home units went under contract in August at the Enso Condominium in South Lake Union. With those pending, there are now seven units remaining including a two-level penthouse home, though only four units are listed in the MLS. 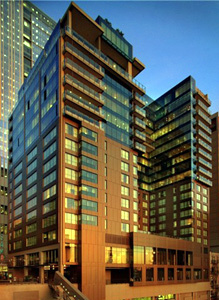 View Enso condos for sale. 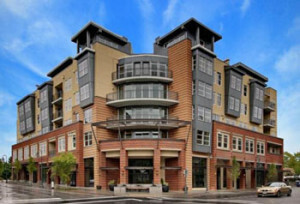 The two condo buildings with available developer inventory in Ballard are the Danielle and Hjarta. Between the two, they’ve sold (closed) nine homes since June 1st…three at Danielle and six at Hjarta. That’s pretty good. Though, there hasn’t been a sale at either project in the past 3 weeks, neither have any pending sales. Disclosure: Hjarta is an advertiser of Seattle Condos and Lofts.